It is the end of August in Japan. It means, our busy season was over. We might have break from the busy season for a while but later on we might have changing color season in Autumn. My summer is good, except getting sick. Because of that, I had been on bed on my offs of this month. Hopefully I will recover soon. We have had a Taiwanese worker last year. She came back only for summer to work because of being a student. She calls us, our hotel, as her family in Japan. I witnessed that she is loved by many people, even from guests. The scenes in many situations made me cry. She hugged our CEO, president, everyone for good bye and thank you. She is always welcomed to come back here. 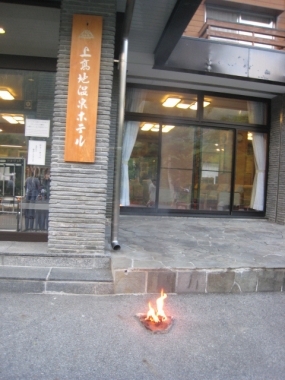 Kamikochi Onsen Hotel is really your home. my dear C.
Since her, we have more Taiwanese workers here. Thank you for bringing her here. thanks to God. You can find the welcome snacks on the table after entering your booked rooms. 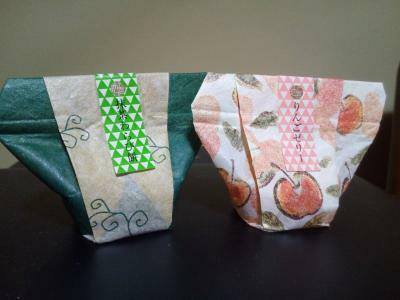 It is written in only Japanese, so most of times foreigners dont eat them. I tried to write in English next to the snack plate. There are 4 kinds of flavor jellies; apple, green tea, Japanese citron (called Yuzu), and black sweet beans. My favorite one is balck sweet beans but rarely you can see as the welcome snacks. You can buy them at the gift shop of our hotel. 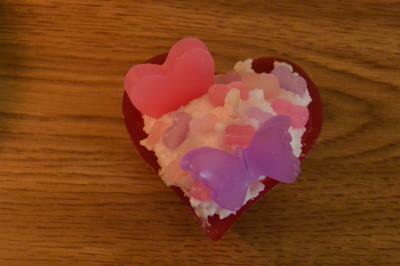 You can try them and buy them as your souvenir to your countries. I am so sorry for not posting this blog last night because I had fever. I was fine but suddenly I got chilly and could not eventually keep standing up. I left my work early last night. Earlier of yesterday, I took many pictures because we had finally beautiful weather. I was so excited to look up. We had a married couple guest who are about 70s. The wife asked her husband what he wanted for drinks. He asked her back what she wanted. I told them that they get along together. Her response was; it has been for a long time with him, I want to do with him something together. I am so touched by her words. I dont know their life, maybe there are some difficulties in theirs, BUT I am so happy to hear her words. Thank you for sharing with me even a small part. Last night I was in deep sleep and could not get up. That is why I took a break for posting this blog. I walked around with a coworker of mine. Color of river, leaves of trees, we feel all different. Especially I feel sometimes chilly with wearing short sleeves. I guess one season is almost over and another season is coming. We have been busy but finally we are getting slow. I am going to have a day off tomorrow. 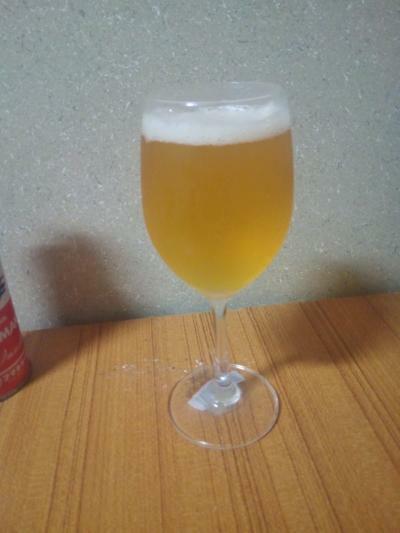 I want to enjoy the previous day of the day off, drinking and staying up late. 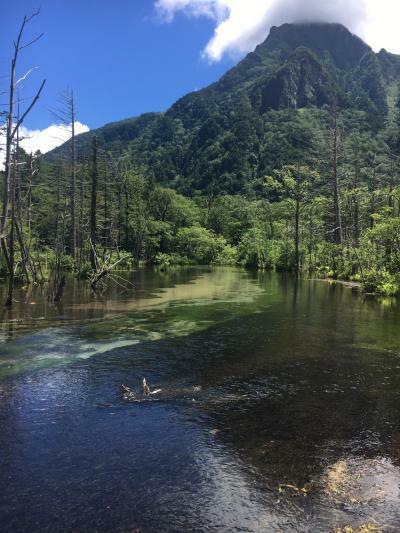 Well I want to go around here in Kamikochi tomorrow. I usual lay down on the road to look up stars. My eyes get used to be in the dark and clearly I can see stars. My coworker and I were waiting for the stars. Luckily we saw a few small shooting stars. We were just happy to be there in the moment. We had a guest who is having birthday today. He got 2 years old!! He was so talkative and not shy. Compared to other 2 years old, he is able to talk! He has a big sister. 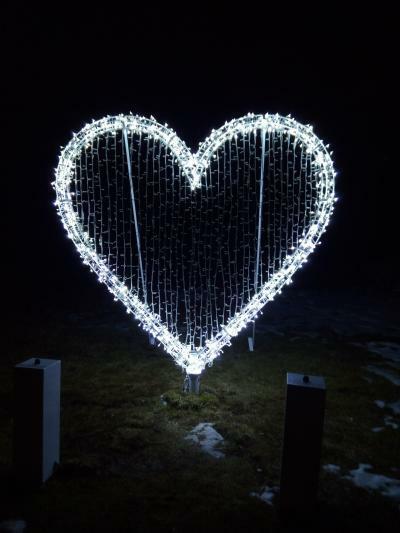 She prepared the surprised scene, tuning off the light. I brought the birthday cake, singing the birthday song. It was so cute to see that they together blew the candles even he was not able to blow. When I served dinner to guests` rooms, they were watching the program on TV which was what I did want to watch. I told each of them that I wanted to watch and we talked about it. The sweetest guest tried to let me watch while I cleaned their table. I have never seen such a nice person. I was touched by their thought of me. 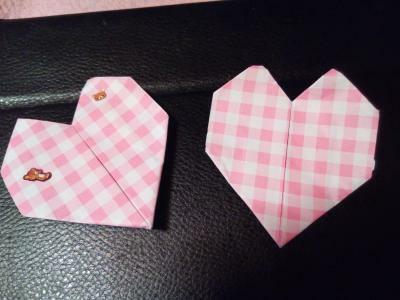 Thank you for your sweet heart. I wish I can return to you or other guests. 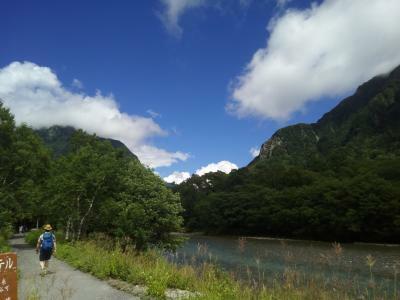 As usual, summer of Kamikochi is short. Seems like this year is shorter. Air at night has been cooler and cooler. 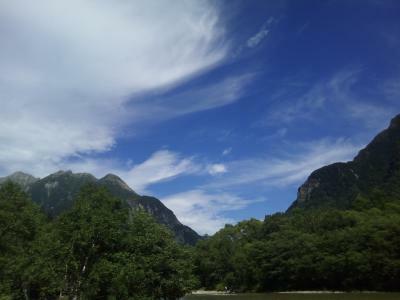 I do want to more enjoy summer of Kamikochi, like beautiful weather with sun and blue sky. From now on, if you plan to visit here, please prepare clothes for nights and mornings. 青い空 Finally sun came up! 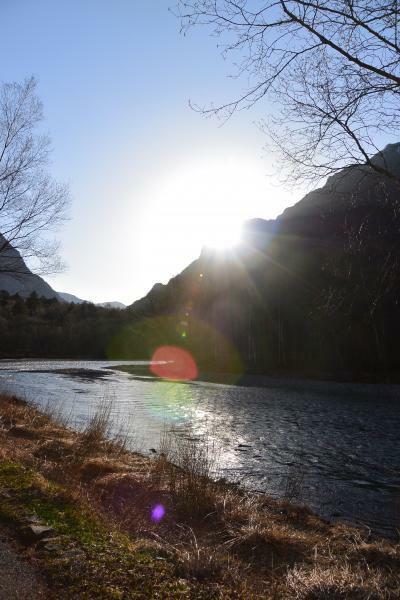 Finally SUN came up in Kamikochi! 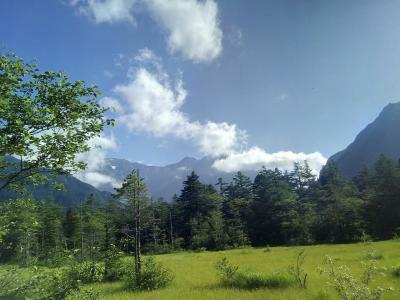 God of Kamikochi has listened to my wish. Last night I prayed to see sun and it came up today already. 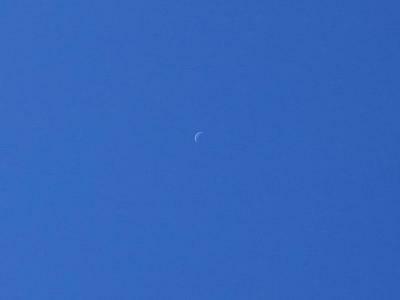 That is why I woke up earlier than usual and went out to look up sky. It was a beautiful day as what I had wanted! 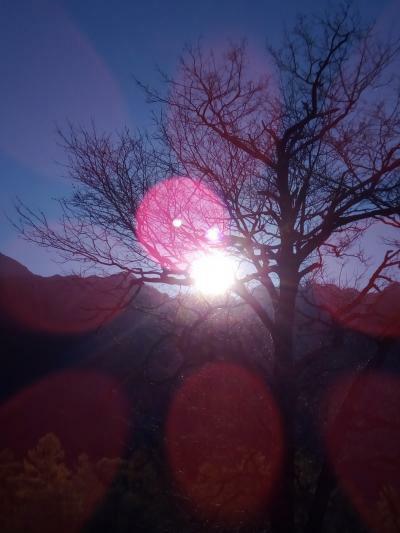 Thank you for God of Kamikochi, listening to my prayer. Again! The topic is about rain because I watched on TV news that it has rained for 16 days continuously in Tokyo. We have NOT seen sun or blue sky for a while. 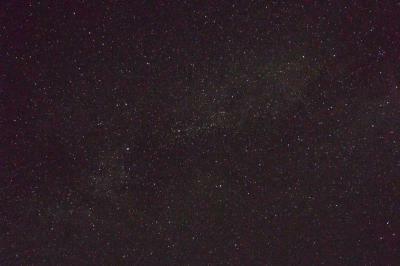 I personally miss sun, beautiful weather, and looking up lots of stars, especially Milky Way. 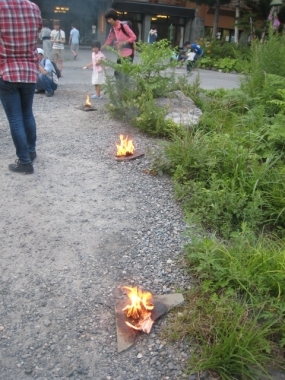 Marriage couples, young and little bit older(#^.^#), has come to Kamikochi. They make me think of my parants. My mother wished she could travel like them with my late father. The couples look like enjoying to spend time together, drinking and talking. In the near future, I want to invite her here. We had an extended family. 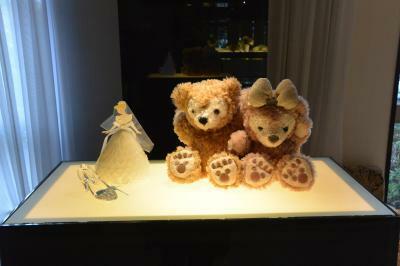 There are a marriage couple, the husband`s parents, the wife`s father. Unfortunately, her mom passed away. It is great to see all of them together, drinking and eating with pleasure. Thank you for giving me such a warm feelings. We have had a family guest of 3 genarations. All of them remembered me. I was happy for that. The grandfather told me that his grandchildren were so excited to see me on the way they came. I was so touched by his words and cried for joy. I have seen them since they were small and now pre-teenagers. We hugged with each one of them when we saw again and I sent them off. They left a memo for me; see you next year! Thank you for such warm feelings to me. 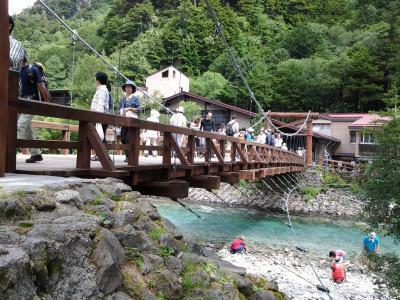 In Kamikochi, Kappa bridge is the most popular place to visit. According to my coworker who walked to there, there were many many people. Even he had to wait for crossing the bridge. 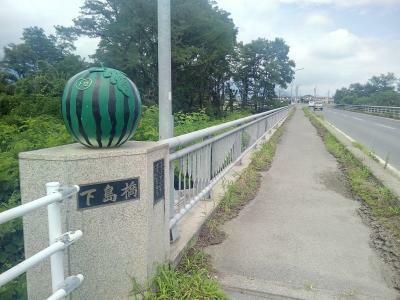 Usually there are many people who take photos on the middle of bridge. Other people who want to cross the bridge hesitate to do that. However, there were TOO many people there today. 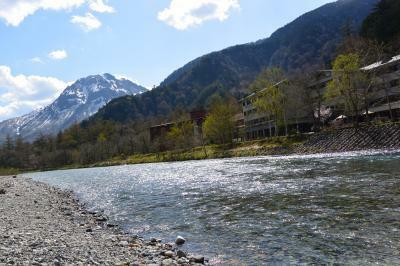 It means that Kamikochi welcomed the peak season! From Azusa river, the hotel and Mt. Yake are seen. It is a holiday of appreciating to live around mountains today. Among all countries in the world, we are only one country to have holidays for appreciation of oceans and mountains. We. as Japanese. should be proud of that. Needless to say, mountains are sometimes dangerous. 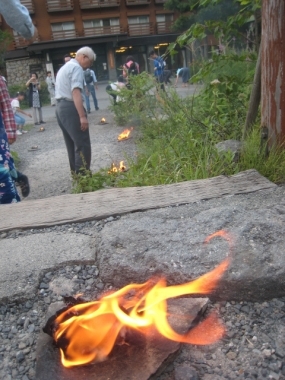 It erupts; it kills people, etc. However, I believe that it makes us learn something. 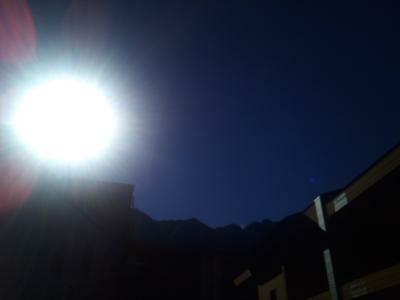 Today, on the holiday, let`s appreciate that we live around mountains. 暑中お見舞い申し上げます　Have a wonderful summer! Like Christmas cards, we have greeting cards in summer. I personally got one from a guest who stayed at our hotel a couple of months ago. 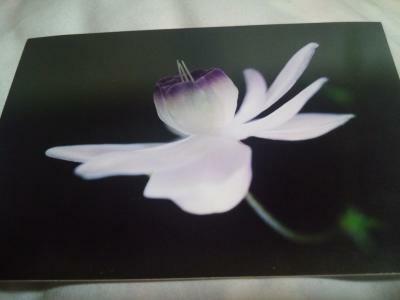 He loves taking photos and creates postcards with his photos. I love his explanation of the picture. 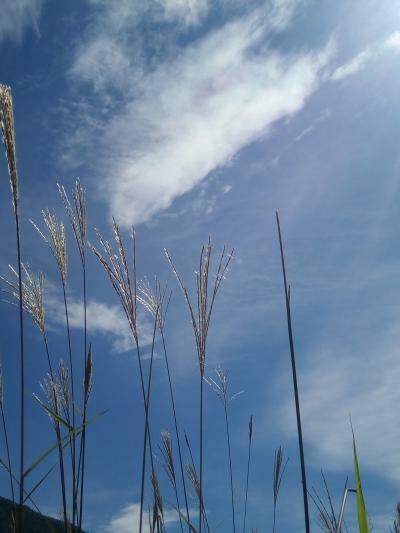 After typhoon, air is fresher, color of sky is so blue! 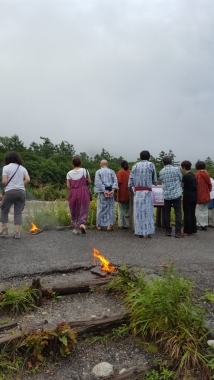 On the way going Myojin pond, one of my favorite spot. Looks like typhoon blew everything off in the air. The color of nature is vivid. However, it is cool, well cooler than usual. 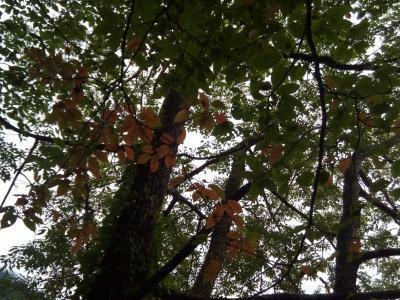 Autumn of Kamikochi is almost here as I feel. Even though typhoon passed, it has rained. Guests can not go anywhere. They TRIED, but they came back soon. 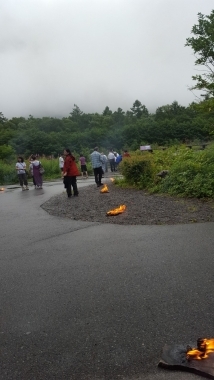 Because of safety, the road to Kamikochi got closed. It will open tomoorow though. We do NOT need rain for a while. We just want SUNNY weather. 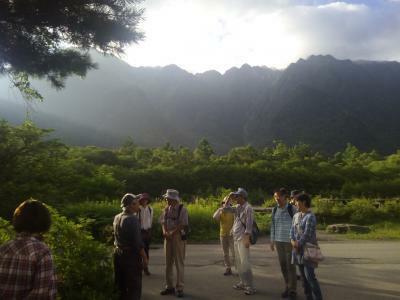 Thank you for guests who came to kamikochi even typhoon came. We really appreciate all of you. A typhoon is coming now. 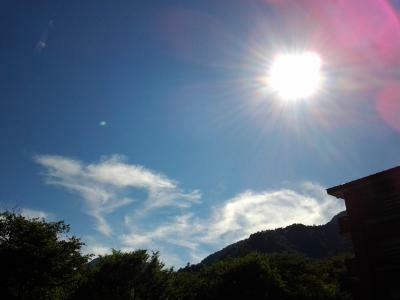 It is approaching to Nagano tomorrow early morning. 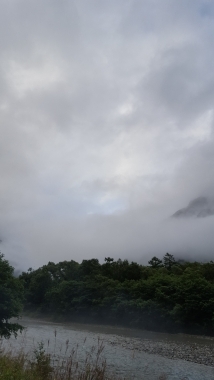 As the blog mentioned, it was sunny in the morning of Kamikochi, but it has been raining since afternoon. 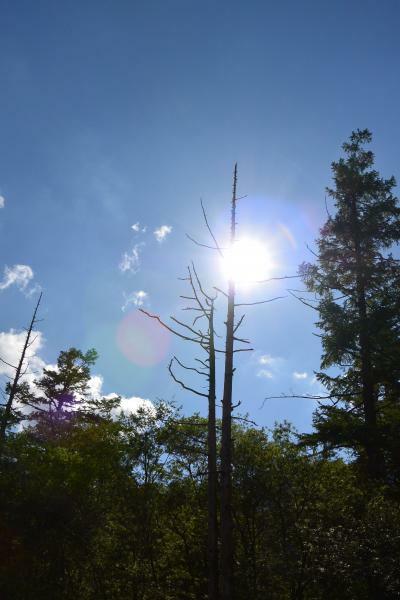 We had had some experiences that typhoons hit in Kamikochi. Media shows on TV as disasters but we had not had it. Needless to say, some places got damaged by it. We just pray that all of people will be safe. 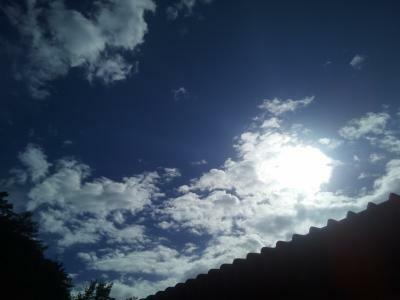 These days` weather has been unpredictable. In the mornings sun rises up and afternoon rain starts. However, in the early evening, sometimes you can see beautiful sunset or another amazing views. 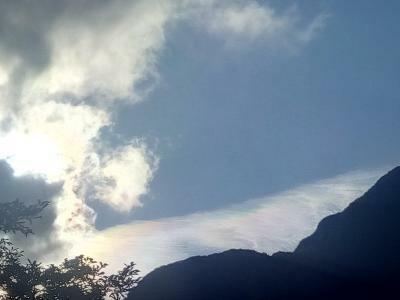 Who can predict the weather or that you can see amazing views? 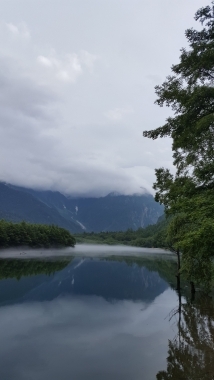 I can say that we should appreciate what we can see in Kamikochi even raining. The flowers were seen in Matsumoto city. 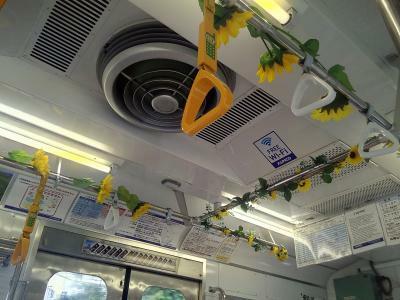 The cute display in the train of Kamikochi line made me smile and happy. My favorite flower is sunflowers. 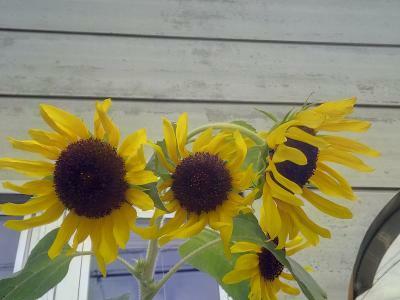 If I had a daughter, I would name her as Himawari in Japanese of sunflowers. I am telling you that I like it that much. They are seen in summer. Seeing it is one of my enjoyment in summer. 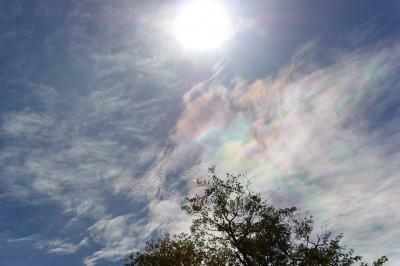 I wonder that is why I like look up sky including taking photos of sun. 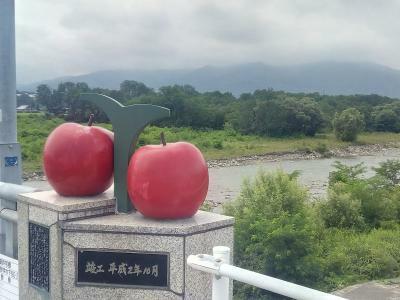 Apples are produced in Nagano, which leads the second largest produced apples in Japan after Aomori prefecture, northern Japan. 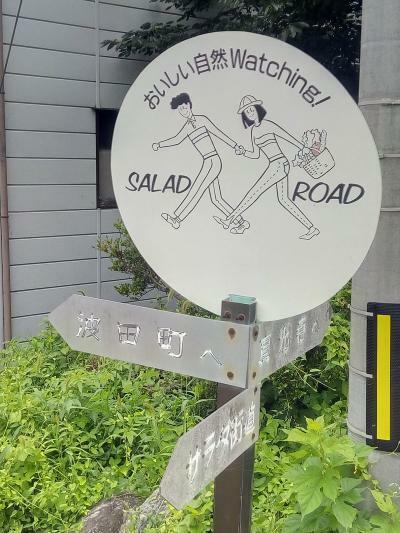 Walking the road called Salad Road named from that veggies and fruits are produced around here. I had a day off and went to suburb of Matsumoto. Just walking around and found interesting things. Even in a small town it gets me excited. Even no transportation, I appreciate the nature of the town, things. 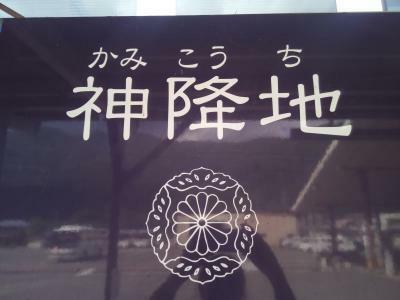 My favorite Kanji of Kamikochi, The place God has come. 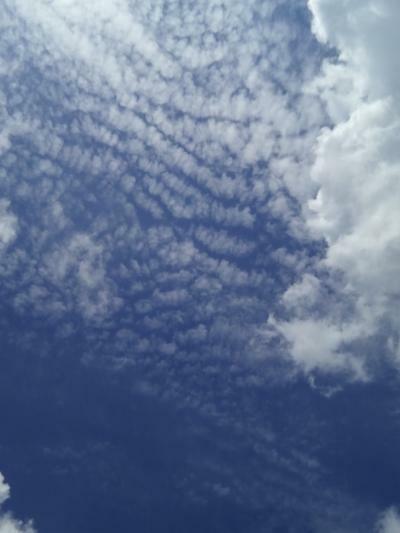 I just feel that is why I always look up such amazing sky. 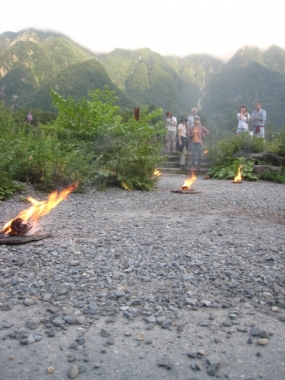 We have Kanji as Chinese characters for Kamikochi. My favorite one is 神降地、meaning literary the place God has come. How graceful name it is! That is why people attract the place. The walking tour starts at 6:30 in the morning. 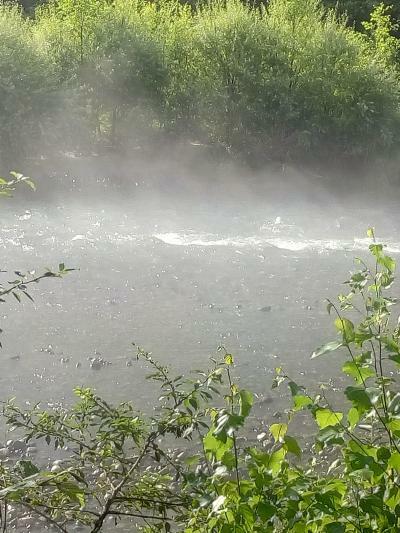 Morning haze in Azusa river. We have a FREE guided walking tour in the morning. If you are interested in joining, be at frond desk before 6:30 in the mornings. 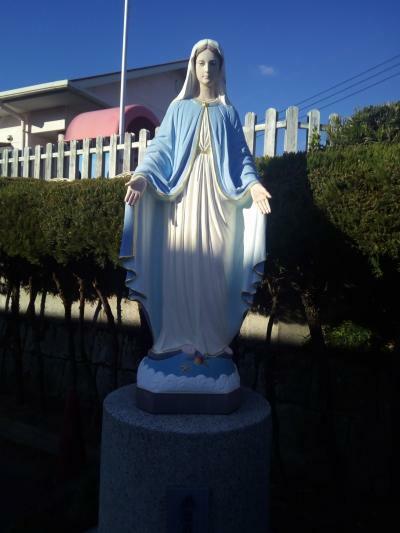 The guidance is in Japanese, but do not worry. You might have a translator so please free to ask the front desk that the translator will be available or not. 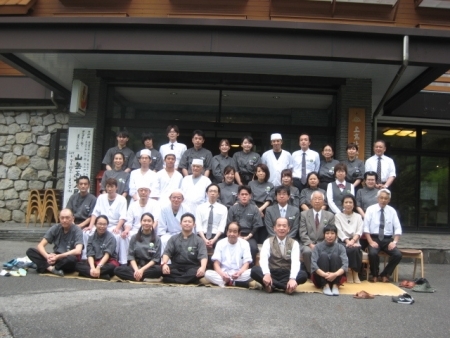 The tour goes to Tashiro Pond where is between the hotel and Taisho pond. Actually, I like Tashiro Pond. It is so small but there is a wetland called Tashiro Wetland (Shitsugen). The tour takes over 1 hour. After that, you have buffet styled breakfast. After the long walk, you might enjoy more than usual. I highly recommend you to join the tour.